We have a tendency to impose our own expectations on others and situations. It can cause discord, instability, emotional stress, anxiety and disappointment. We must stop having so many expectations of others for our own mental health. When I stopped having expectations in certain situations, it always felt like a weight had been lifted. It is amazing how much more you can enjoy just being or doing without being attached to specific outcomes. It allows you to savor the moment(s) without prejudice! 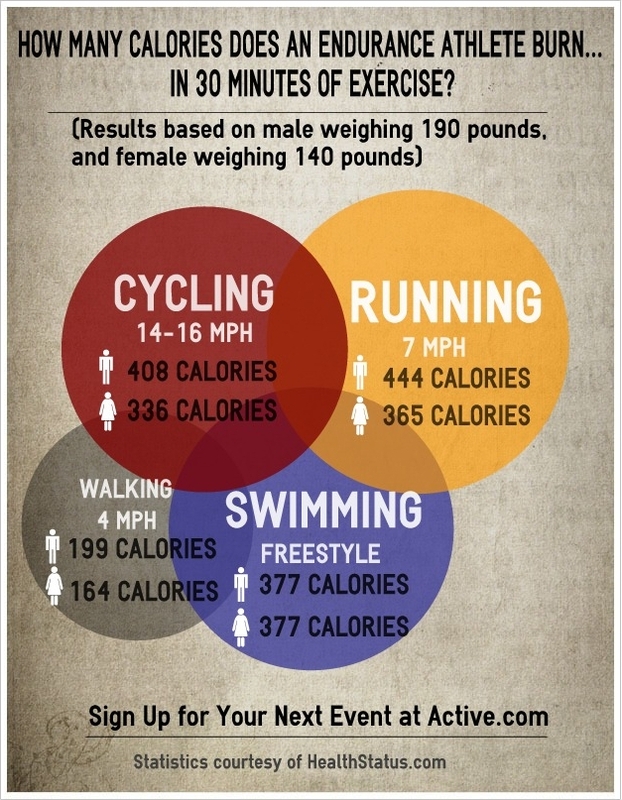 How Many Calories Do You Burn Doing Your Favorite Activities? Here’s the link to a great QUICK 20-MINUTE WORKOUT! ”Canyon Ranch: Strong & Sculpted” DVD ! All you’ll need is a pair of dumbbells and a mat. Me at the 2012 Steel Valley Classic! I finally got through the day. 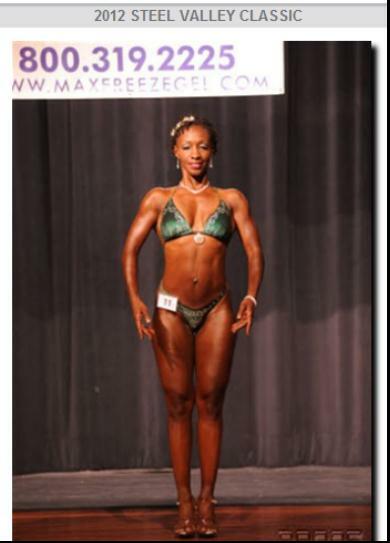 This year I competed in two divisions: Masters Figure and Open Figure. I placed 2nd in Masters Figure and did not place in Open Figure. It was a very enlightening experience. I realize I still have a lot of work to do if I want to compete again. Right now, I am contemplating that. I will think about it and get back to you on that! The training has been grueling. Two workouts daily for the last month has kept me busy. Needless to say, I’ve been unable to blog as I once had been. I have so many things that I do want to share in this blog site. Thank goodness for being able to save drafts until I am ready. So, I’ve got lots of great information stored. After this show, I hope to get back on track. 🙂 I say ‘hope’ because I am looking to do another competition in October, so we’ll see! Now that I am 7 days out, I need to start preparing my “D-day” checklist. Most things I have from my first figure competition, which is great – plus will save some expenses! My registration form was received and confirmed, SO THERE’S NO TURNING BACK NOW! Although preparing for a figure competition is very time-consuming, takes lots of dedication, but can be very exhausting, it is still very rewarding! I’m getting very anxious, nervous and restless. I’m looking forward to getting this show over with, so I can take a mini workout vacation, get some rest, and catch up on some long over-due projects. Then, it’s on to the next one. I enjoy watching my body change, even when it doesn’t always cooperate with my expectations. It’s challenging, but gives me a REAL sense of accomplishment. Peak week is the time to give it my all in my workouts, posing practices, and nutrition, in order to tighten up my physique. 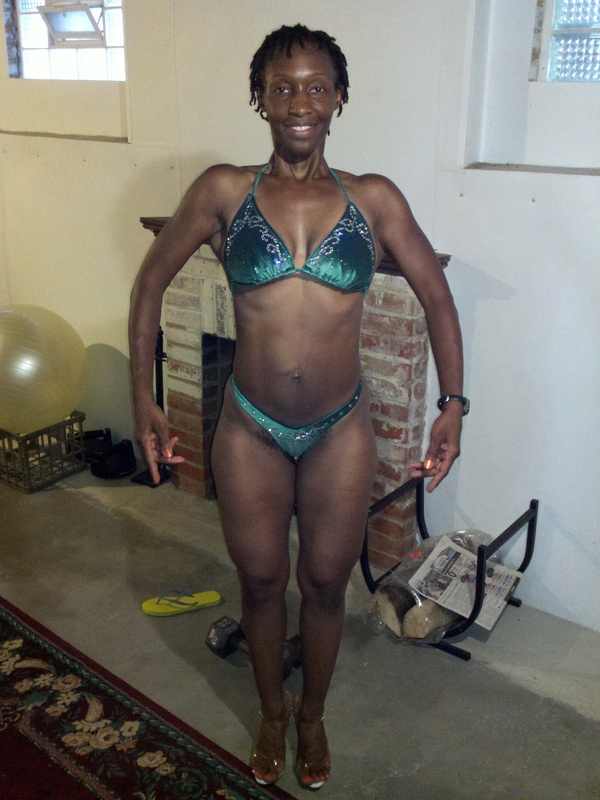 This means lots of posing practice, total body workouts, cardio, removing excess water, fat, and the dreaded carb-cutting. Cutting carbs makes a person a little wacky, so I don’t how much I will post during those few days. I will not be able to concentrate or think too clearly during that time – just a warning – but I’ll definitely touch base the day before and day of the show! This has been a very enlightening experience. I’ve learned a lot about myself and training. I’m always reading and researching. I should be certified personal trainer at this point 🙂 It has also increased my self-confidence and will to do more and be better. In my posing suit! Almost ready!!! Natural Girls United! – Home.